The competencestandard has raised more than a few eyebrows over the years. The competence standard is where the GAO introduces a very stringent continuing education requirement. Let’s begin by understanding the GAO’s overarching objective – to make sure that audit teams are competent – and then dig into the continuing education requirement. What Does the Team Have to Know? 3.techniques, tools, and guidance related to professional expertise applicable to the work being performed. Thankfully, each team member does not have to carry the burden of competence individually; competence is a team effort. 4.02 The audit organization’s management must assign auditors to conduct the engagement who before beginning work on the engagement collectively possess the competence needed to address the engagement objectives and perform their work in accordance with GAGAS. Notice the term, “collectively possess.” I call this the Larry, Darrell, and Darrell standard. In the 1980s TV sitcom, Newhart, three bumpkin brothers (Larry, Darrell, and his other brother Darrell) would emerge out of the Vermont woods. Larry was the only brother who could speak, but collectively, as a team, they were functional. Just like Larry, Darrell, andDarrell, one smart guy can carry the whole audit team. What is competence? It is earned through education and experience. 4.05 Competence is the knowledge, skills, and abilities, obtained from education and experience, necessary to conduct the GAGAS engagement. Competence enables auditors to make sound professional judgments. Competence includes possessing the technical knowledge and skills necessary for the assigned role and the type of work being done. This includes possessing specific knowledge about GAGAS. 4.06 Competence is derived from a combination of education and experience. Education is a structured and systematic process aimed at developing knowledge, skills, and other abilities; it is a process that is typically but not exclusively conducted in academic or learning environments. Experience refers to workplace activities that are relevant to developing professional proficiency. Competence is not necessarily measured by years of auditing experience because such a quantitative measurement may not accurately reflect the kinds of experiences gained by auditors in any given time period. Maintaining competence through a commitment to learning and development throughout auditors’ professional lives is an important element for auditors. I am sure you have encountered auditors with only a few years of experience who have earned half-a-dozen certifications and degrees who don’t have a clue what they are doing. And you have also met auditors who have been auditing for 25 years who have never cracked open an auditing standard. Competence is a BLEND of both education and experience. 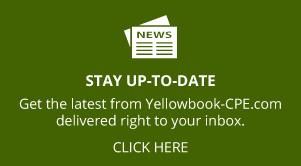 First off, the Yellow Book places responsibility for assuring that the staff is competent onthe audit organization and says that they are responsible for the hiring and development of Larry and the Darrells. 4.03 The audit organization’s managementmust assign auditors who before beginning work on the engagement possess the competence needed for their assigned roles. 4.04 The audit organizationshould have a process for recruitment, hiring, continuous development, assignment, and evaluation of personnel so that the workforce has the essential knowledge, skills, and abilities necessary to conduct the engagement. One way you can make sure the audit team is competent is by keeping them up-to-date through continuing education. I don’t know what the rule is in other states, but hair stylists in Texas go to school once and that is that; no more training necessary. My hair was long, permed, and fluffy like Stevie Nick’s hair for a good seven years longer than was prudent because I was loyal to a hair stylist who earned her licensein the 1970s! The GAO realizes that auditors need to grow and change in order to remain relevant. So, they require government auditors to earn 80 hours of CPE every two years. No permed hair for us! The GAO has reformatted the way they present the core CPE requirements by putting the requirements in a table, but the requirements themselves have not changed in over a decade. 4.16 Auditors who plan, direct, perform engagement procedures for, or report on an engagement conducted in accordance with GAGAS should develop and maintain their professional competence by completing at least 80 hours of CPE in every 2-year period as follows. The GAO issued a guidance document regarding CPE in April of 2005. The official title is “Guidance on GAGAS Requirements for Continuing Professional Education.” In the 2018 version of the Yellow Book, the GAO added the contents of this supplemental document to the text of the competence chapter. The following are the topics addressed in the rest of the competence chapter that may be relevant to you. Who’s Subject to the Requirements? Under “Who is subject to CPE requirements?” the guidance document describes what the GAO means by planning, directing, performing, and reporting. a. Planning: Determining engagement objectives, scope, and methodology; establishing criteria to evaluate matters subject to audit; or coordinating the work of the other audit organizations. This definition excludes auditors whose role is limited to gathering information used in planning the engagement. b. Directing: Supervising the efforts of others who are involved in accomplishing the objectives of the engagement or reviewing engagement work to determine whether those objectives have been accomplished. c. Performing engagement procedures: Performing tests and procedures necessary to accomplish the engagement objectives in accordance with GAGAS. d. Reporting: Determining the report content and substance or reviewing reports to determine whether the engagement objectives have been accomplished and the evidence supports the report’s technical content and substance prior to issuance. This includes signing the report. Why do these definitions of planning, directing, performing, and reporting matter? Because if your work centers around “performing engagement procedures,” you may be exempt from some or all of the CPE requirements. But if you are involved in any of the other three functions, you are required to earn all 80 hours. 2.are only involved in performing engagement procedures, but not involved in planning, directing, or reporting on the engagement. The 20 percent may be based on historical or estimated charges in a year, provided that the audit organization has a basis for this determination and monitors actual time. For auditors who change status such that they are charging more than 20 percent of their time annually to engagements under GAGAS, the audit organization may prorate the required CPE hours similar to when auditors are assigned to GAGAS engagements after the beginning of a 2-year CPE measurement period, as discussed in paragraph 4.42. 4.26 Nonsupervisory auditors who charge less than 40 hours of their time annually to engagements conducted in accordance with GAGAS may be exempted by the organization from all CPE requirements in paragraph 4.16. The way I interpret this – and mind you, this is my interpretation – is that even if you touch a governmental audit orare involved with the audit team at all, beyond doing simple test procedures, you must comply with the whole 24- and 56-hour CPE requirement. This means that, if you are a tax partner in an accounting firm and your audit partner goes on holiday for two weeks during the middle of a government audit leaving you to make decisions and supervise the staff on that audit, then you must get all 80 hours! This is the GAO’s way to keep folks who aren’t serious about government audits away from government audits. If you are a staff person performing only fieldwork, then you must get the 24 hours, and you may be exempt from the remaining 56 depending on how much of your year you spend on government audits. If you spend less than 20% of your time on a GAGAS audit and you aren’t involved in conducting, directing, or reporting, then you still need 24 hours of CPE, but you don’thave to get the additional 56 hours. Notice that if you spend less than 40 hours a year “performing engagement procedures,” you are exempt from all requirements. This exemption is new as of the 2018 revision. That list covers a lot of ground and means that you don’t have to sit in a Yellow Book class every two years to earn your 24 hours! Remember because of the last clause of the requirement, “Subject Matter Directly Related to the Government Environment, Government Auditing, or the Specific or Unique Environment in Which the Audited Entity Operates,” you are allowed to earn CPE hours for learning about the unique environment or subject matter that you are auditing. For example, if you are performing an audit of investments for a retirement system, you can earn your 24 hours in a three-day class on how large institutions trade investments. Or, you might be auditing a housing and urban development program. In this case, you can take a seminar that would teach you more about the program. In other words, you don’t need to feel locked intocourses that have “government” in the title to earn these 24 hours. The “unique environment” clause opens up a lot of possibilities. 9.economics, human capital management, social and political sciences, and other academic disciplines that may be applied in engagements, as applicable. Similar to the 24-hour requirement, the 56-hour requirement is fairly flexible. Classes on estate planning or a personal taxation update don’t qualify for either the 24 or the 56 hour requirement. Although those classes might help a CPA in public practice keep their business going, they have nothing to do with governmental auditing. 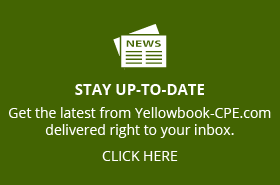 The State of California has some very specific CPE requirements for CPAs. The Certified Fraud Examiners have specific training requirements, too. 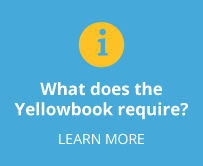 The GAO warns us that satisfying another organization’s requirements might not satisfy Yellow Book requirements and viceversa. 4.34 Individual auditors who are members of professional organizations or who are licensed professionals, such as certified public accountants, are cautioned that the GAGAS CPE requirements, while similar in many respects to those of professional organizations and of licensing bodies, may not be identical. Some subjects and topics may be acceptable to state licensing bodies or professional organizations, but may not qualify as CPE under GAGAS. 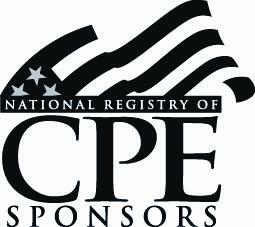 Conversely, some CPE that qualifies for GAGAS may not qualify for state licensing bodies or professional organizations. Careful consideration of auditors’ relevant professional organizations or licensing body requirements is encouraged to meet other relevant CPE requirements. 4.35 Examples of training topics that may qualify as CPE for state licensing bodies or professional organizations but would not generally qualify as CPE for purposes of satisfying requirements under GAGAS include certain training in taxation, personal financial planning and investment, taxation strategies, estate planning, retirement planning, and practice management, unless such training directly enhances the auditors’ professional proficiency to perform engagements or relate to the subject matter of an engagement. However, if certain taxation or other topics relateto an objective or the subject matter of an engagement, training in those related topics could qualify as CPE under GAGAS.